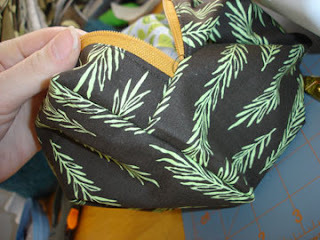 A couple of you inquired whether I made this pouch based on a tutorial or pattern and if not, if I could provide one. Ask and you shall receive! I've learned so much from tutorials out on the internets, I'm happy I can give back for once. Bear with me, though. This is my first tutorial and creating one is much tougher than I imagined. I give anyone who's created a tutorial tons of credit! I feel obligated to preface this by admitting I'm a trial and error sewer. I make things up as I go along and test things during the sewing process to see if I'm achieving my desired results. Also, I taught myself to sew just playing around on a sewing machine, so I don't always use text book methods. Just wanted come clean before you all jump into this and so you have a little understanding if I did something in a backass way. The pattern works, which is all that matters to me! Because of the versatility of this pattern, my instructions can be used more as guidelines. You can easily change the pouch dimensions. Anyway, here's the tutorial. If you need clarification or have any questions, please send me an email or leave a comment. Note: This pattern can be tweaked to create a bag of any dimension you want. 1/4 yard interfacing (weight of your choice. I recommend a medium to heavy-weight. Step 1. ("collect underpants" --any South Park fans out there?) Cut fabric. Cut a 16" x 12" (updated dimensions) rectangle of exterior fabric, lining, and interfacing. 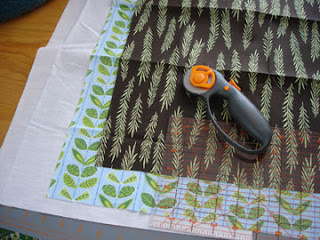 Choose interfacing that will create the structure you like best. For a more structured pouch, use a heavy interfacing or even Peltex. For something collapsible to toss in your bag, choose a lighter weight interfacing. I used a lighter weight because that's what I had on hand, but I prefer something heavier or at least medium-weight. Iron your fabric if you're feeling motivated (I wasn't today). Basically, you want to make a tube. Arrange fabrics as you see in the picture below. Interfacing, exterior (rightside up), zipper (wrongside up), lining (wrongside up). 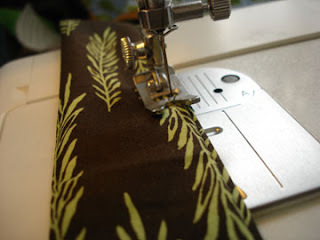 Pin fabrics together and sew. Opening the zipper makes the sewing less awkward. 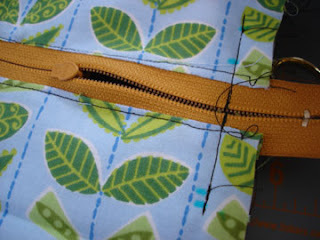 Remove pins, turn pouch rightside out, and topstitch along zipper. (see photo below) This holds the fabrics together neatly. 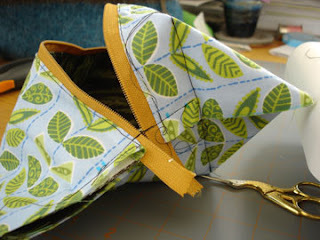 Turn pouch inside out and sew other side of zipper to opposite end of fabric (to create tube). This will be somewhat awkward and you will need to stop midway through sewing to open zipper. It also gets tricky sewing around zipper head. If your stitches get out of line, just rip back and try again. A seamripper is your bff. Topstitch other side of zipper. Again, this will be awkward around the zipper head. Just be sure not to accidentally sew the bottom part, too! 3. Make handle. Cut a piece of exterior fabric 10" x 8" *(If you're using a fat quarter, it's the big rectangle leftover). Fold in half rightside together and sew long edge. 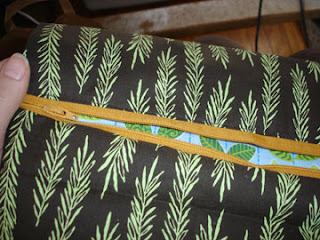 Turn rightside out, fold in half lengthwise, and sew along edge. 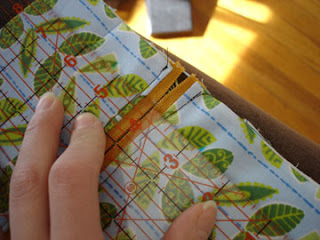 Then, sew along folded edge. 4. Sew sides. In this step, the more precise your measurements, the more professional your finished pouch will look. Lay your tube flat and ensure the zipper runs down the exact center of the pouch. This is important!!! Measure the width of the rectangle. 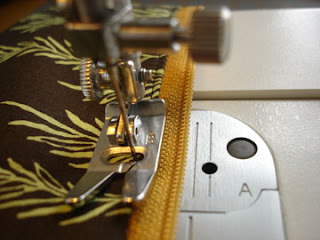 Using a sewing marker, mark off the middle third (you can estimate a third, just make sure you mark off equal sections on either side of the zipper) of the pouch. Sew the center portion from mark to mark. Backstitch over the zipper a few times for added durability. Repeat on other side. 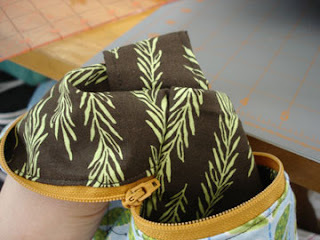 Unzip pouch and put you hand in one of the openings on either side of the sewed portion. Push fabric into a triangle. This is difficult to explain. It's probably easier just to refer to the picture below. 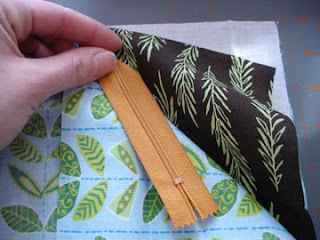 Sew a perpendicular line to your seam from earlier this step, creating a triangle** like below. Repeat this step for the other corner on that side. **The size of your triangle determines the height of your pouch. For a taller pouch, make a bigger triangle. For a shorter, make a smaller triangle. Whatever size you choose, make sure they are all the same. 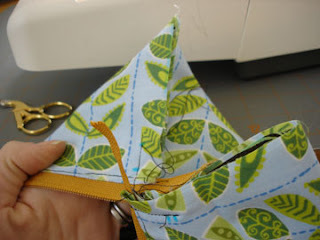 To attach the handle, you follow the same steps sewing the triangles, but insert the handle in before seaming. I hold onto the triangle from the inside, while I position the handle on the outside (see photo below). Pin triangle in place, so handle doesn't shift. Sew triangle. Repeat for other side. 5. Trim excess fabric. Cut extra fabric from triangles. Be careful not to cut any seams!! 6. Admire handiwork! Turn rightside out fill with current knitting project, toiletries, or whatever else! I hope this all makes sense! You are a goddess for providing this pattern. I was itching for a new sewing project and this will be it! As I am ever wooed by you people who can make a sewing machine bow before your ribbons, fabrics, and thread, you just let me know if you might swap me one of those gems for some handmade soap. How's that for subtle? You are so generous for putting up a tutorial! Thanks, Kelly! great job on the tutorial! I love how you say you are a "trial and error" sewer - me too!!! great tutorial! sweet little bag! that bag is the *perfect size for a sock project...hmm maybe i should get out the sewing machine today...? Cool tutorial - thanks for putting that together. I know it takes some time and patience to do tutorials, but it is so neat for sharing ideas online. collect underpants + ? = profit! one of my favorite episodes! thanks for the tutorial! I've seen these bags around and they are so cute. When I get an extra minute I'll have to whip one up. 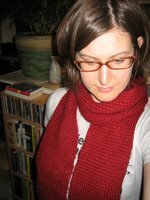 I have just started a blog and am trying to get lots of links to interesting tutorials together. I have placed a link to your tutorial, I hope that's ok. It's still a little empty cause I am still setting everything up but do pop by in the future. Thank you so much for the tutorial! I've been wanting to make a bag like this for a while - now I can! oooh! that's pretty - thanks for the idea / inspiration! Good to have on a snowy weekend in New England, eh? Very nicely written tutorial. Thanks for sharing! thanks so much for this tutorial! i'm going to make one this afternoon. i can't wait! Hi, Kelly! Thanks so much for the tutorial. Now, for a really dumb question...I've tried two of these and I can't get the triangle thingy when it comes time to make the actual box shape. Can you explain a little more how you do that? Thank you so much - my brain is drained after four days of trying to figure it out. Thanks for the tutorial, I have been wanting to make one of these, and your measurements make one that is the perfect size!! 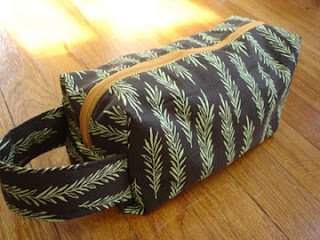 Thanks for posting this tutorial - I love this bag and plan to try creating one myself this weekend! Thanks for the tutorial! I'm going to try it tonight! That is an awesome tutorial! Definately adding to my 'things-to-make" list! Oh, you are a wonderful person! I just thinking about how to make one of these for my sewing supplies today - you saved me many hours of stress and cussin'! Thank you so much! This is exactly what I've been looking for and now I can make one from fabric in the stash. You're a genious. Thank you so much for putting this tutorial online. I've been looking for this one for a while. Love it. very detailed. Hello! I work with Kristin on her Sew, Mama, Sew blog (http://www.sewmamasew/blog2) and we'd love to link to your tutorial for an upcoming feature. I can't seem to locate your email address. Would you mind emailing me (beth@sewmamasew.com) at your convenience for details? Thanks so very much! This is a fantastic tutorial! I just made about five of these last week when I was on break! My mother is an avid sew-er (seamstress?) 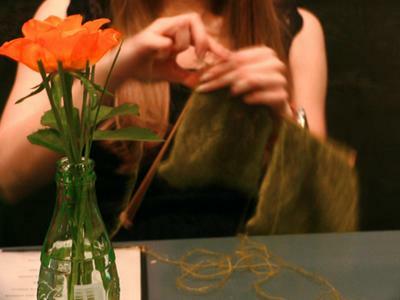 and I'm a knitter, so this was something we could do together. Now that I know how, I can do it myself to (she did the first bag; I did the rest). I'll be posting the pictures, etc. on my blog later on this week. Just wanted to say thanks again! Beautiful bag design--thanks for the tutorial. I found it on sewmamasew's blog. For the person having trouble with the triangles--I was having trouble too and figured out a good way to do it. In step 4 when you sew the ends, sew all the way across, not just a third. This makes it easier to make the triangles. Then just mark where the triangle is going to start. If you want the ends of the bags to be a square, mark the center portion to be 1/4 of the circumference of the tube. I also finished off the raw edges with bias tape and the bag looks so cool I plan on making more for gifts. Awesome! I also found this over at sew, mama, sew - thank you! It is wonderful - I will employ the above commenter's technique for the trianges too - since I struggled there a bit too, a little un-rectangular bag:) But a bag - with a zipper! Score! Thanks! I'll definitely be making more for Christmas presents! Do I sew the zipper/fabric along the 16 inch edge or the 12 inch edge of the fabric in step 2? Thanks for the tutorial! 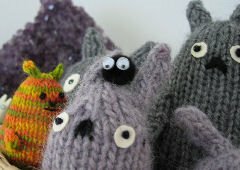 I too love FatQuarters and want to make up a copuple of these cuties!! Brilliant! 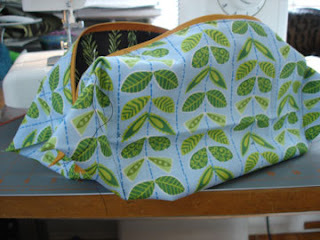 I'd just decided I wanted to make one of these, googled 'box bag tutorial' and found your blog! A couple of hours later I have a gorgeous bag! Thanks so much! Nice tutorial. Thanks. My Blog : earn money chao! We are the professional discount luxury goods online sale store, such as UGG Classic Short, UGG Classic Tall, yves saint laurent,replica handbags and other luxury famous brand products. hesitanting? Just haste to our website to buy. it's a wonderful and very usefull tutorial! Thanks! Really looking forward to trying this! Thanks so much! Merry Christmas! Thank you for sharing this tutorial! 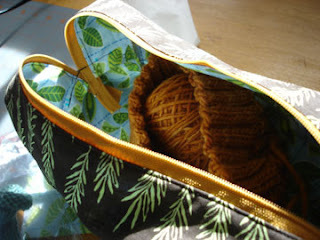 I've been wanting to make a patchwork knitting bag and this will be so helpful to save me some time to make one. Thanks!!! Thank you so much, I haven't ever read so wonderfull blog, your bolg is so good, I like it very much. I also want you to go to my web, and so that we can discuss something. What a great bag! This would make a great Father's Day present too! I also added this to my site today, and you can grab an "I've been featured" badge if you'd like. Luxury Handbagscommonly known as Chanel (English pronunciation: /ʃəˈnɛl/), is a Parisian fashion house founded by the late couturier Coco Chanel, recognized as one of the most chic in the haute couture. Specializing in luxury goods (haute couture, ready-to-wear, Handbags, perfumery, and cosmetics among others), the Chanel label has become one of the most recognized names in the luxury and haute couture fashion industry. According to Forbes, the privately held House of Chanel Handbags is jointly owned by Alain Wertheimer and Gerard Wertheimer who are the grandsons of the early (1924) Chanel partner Pierre Wertheimer. can come here to have a look! Great tutorial, thanks! I can't wait to try it. Adorei o tutorial da necessaire. 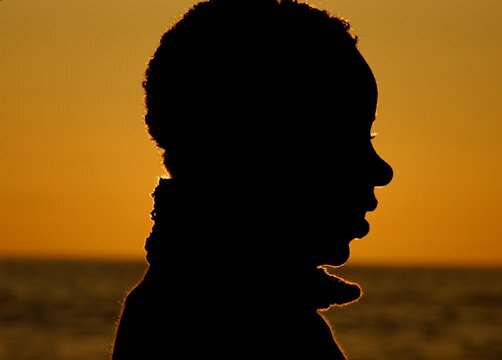 Parabens pelo Blog. Já me tornei sua seguidora. If you don't undertand, send me a email that a translate for you. After read your post,I got some very inportant information.Very thanks.But I have some new style,new design,cheap price shoes.I hope everyone like them. When I saw this I wanted to make my own box bag so I did. 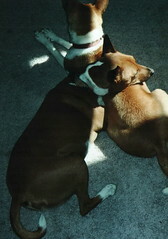 Here is mine that I posted on my blog. Thanks for sharing your tutorial. This is a cool and useful tutorial, because I just got my cosmetics bag broke and I don't have money to buy exactly what I want and with your info and pics I can make one by myself. I always asked myself how can you make a bag....looked to be so complicated. I've been trying to come up with a way to make a box bag for a few days, but apparently I've been trying to reinvent the weel. Your way is much simpler and way better. Thanks for the tutorial. Okay, I'm going to use your tutorial this week, finally, because I've drooled over this on multiple occasions. Really love all the posts you offer! I am so looking forward to seeing more like them….. So cute! I will be trying this! This is so cute and also very easy to make.. I will sure try this with my little girl..:D She loves to make stuff on her own.. Thanks! What a great tutorial, I can't wait to try this! Thanks for sharing! Hi. This tutorial is amazing - it has very clear pictures and instructions. I have linked you on my blog: http://mel-allwrappedup.blogspot.com.au/p/link-love-to-amazing-free-craft.html. A friend and I are planning to teach teen-agers this box bag at our church this summer, if that is OK with you. There is no charge for the camp - we don't make any money. Also if we have your permission, we'd like to make some to sell at our crafts table at our upcoming quilt show. It will be a money maker for our non-profit quilt guild. Please email me at marthasmaterialworld *at* gmail *dot* com to let me know if we have permission. Thanks so very much! I think there is a problem with your measurements. If you have 1/4 yard of fabric, it is 9"x42" and you can not cut 16"x12" from 1/4 of a yard without cutting it and sewing it together. Same with the interfacing. Did you mean a fat quarter of fabric and a half a yard of interfacing??? I'm stuck at the sewing of cloth to the other side of the zipper to make a tube. can anyone help? Whats up very cool blog!! Guy .. Beautiful .
. Superb .. I will bookmark your web site and take the feeds additionally? Just tried this bag and it came out beautiful! This is definitely what all my friends are getting for their birthday! 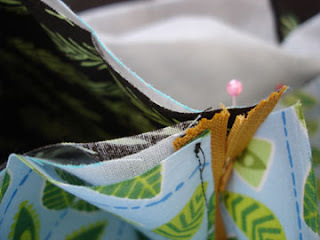 "Lay your tube flat and ensure the zipper runs down the exact center of the pouch. This is important!!! Measure the width of the rectangle. 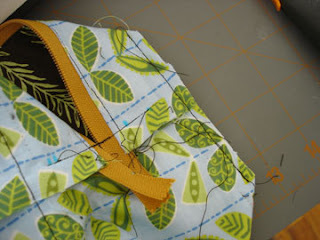 Using a sewing marker, mark off the middle third (you can estimate a third, just make sure you mark off equal sections on either side of the zipper) of the pouch." Thank you so much for taking the time to post this! Absolutely fantastic bag - my new favourite. Thanks for all the lovely messages about Alice! We're getting into a groove around here and I've finally been able to do a little crafting. My sewing machine has finally seen some use and thanks to some sage advice from Elizabeth over at A Mingled Yarn (Thanks, Elizabeth! ), I'm finally able to knit while nursing. Speaking of nursing, after tearing through a couple of boxes of nursing pads I decided to take matters into my own hands and make my own more environmentally-friendly version. I couldn't find an available pattern on the internet, so I thought I would share mine with you. There are probably better ways to construct them, but this worked for me. Don't they look like ravioli? Finished these on Saturday and they haven't left my feet since (well, I did take them off in the shower). These are by far my best fitting, most comfy pair of handkit socks ever. For reals, y'all. Just a satisfying blend of stretchy and warm. In the words of Rach3l Ray, "Yum-O!" Pattern. Monkey Socks by sock genius, Cookie A.
Source.Knitty.com - New patterns just out! Needles. Size 1 Addis, 40"